With the breeding shed opening this week, we have some fresh faces at Diamond Creek Farm. Meet our intern class of 2019! 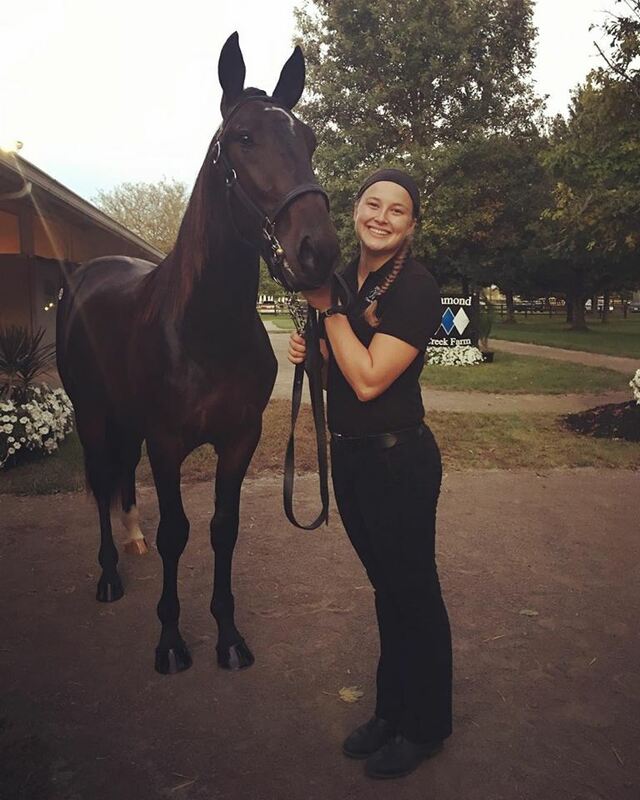 Abby Pale joined the Diamond Creek Farm for yearling prep in August. 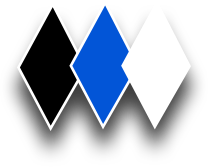 She is originally from Horsham, PA and graduated from Delaware Valley University where she also worked with Standardbreds. Her favorite part of the job is hearing a mare knicker at her foal right after it’s born. If Abby could time travel she would go back in time to when dinosaurs roamed the earth. Preferably in a Jurassic Park styled Gyro sphere, but hopefully without the carnage of the movies. Her bucket list includes riding a bull and traveling the world, as well as visiting American National Parks. One thing she can’t live without? Burt’s Bees Chapstick. Tate Simmons also started at Diamond Creek in Kentucky during yearling prep. She is a Dry Ridge, Kentucky native. Her favorite part of working on the farm is getting to know each of the horses and following them during their careers. She would like to one day be in the jog cart behind one of the Diamond Creek Racing stable members. Tate has a border collie named Kujo and a horse, Reyna. 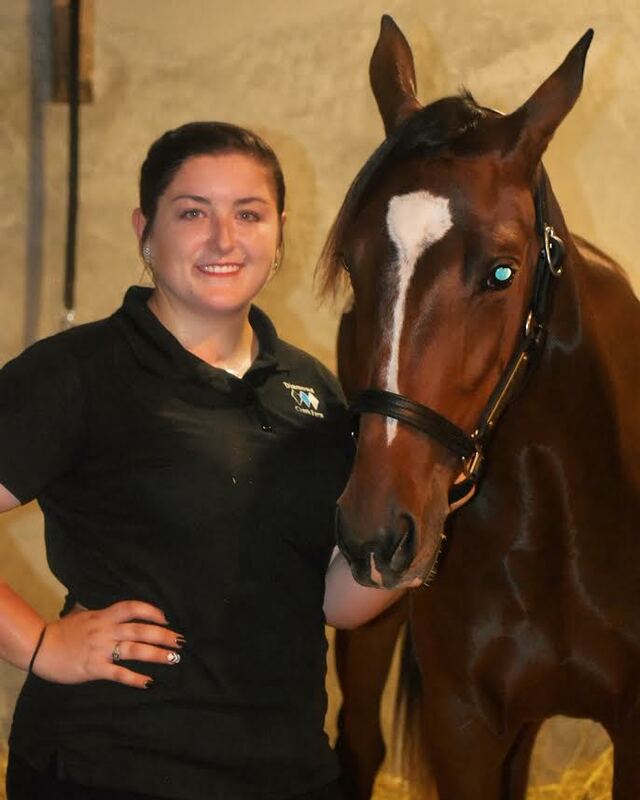 Mikala Cecola is our third breeding intern, like Abby and Tate she also worked the yearling season in Kentucky. Mikala hails from Barrington, IL. 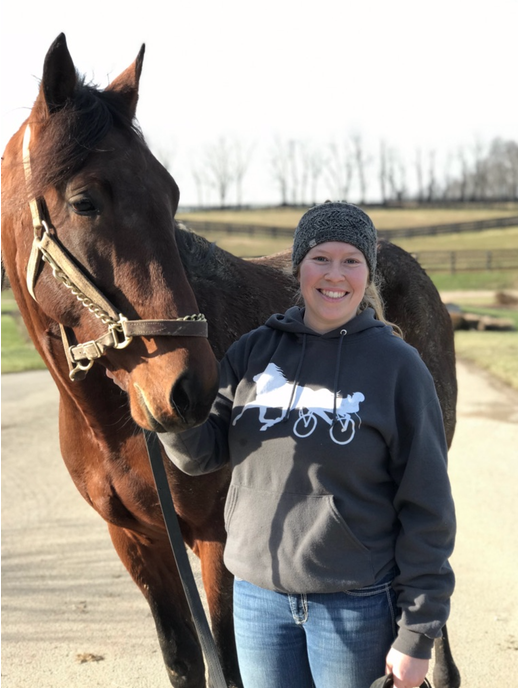 She got into the Standardbred business when she saw Diamond Creek was looking for yearling prep help. Her favorite part of the job is getting to work with the horse from weanlings to yearlings. 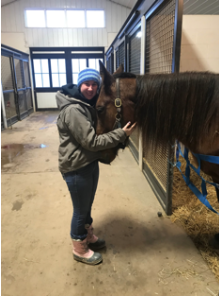 Mikala has a full barn of furry friends at home, including a mini mule named Precious, an OTTB, two goats, 9 ducks, 10 chickens, fish, a shrimp and a dog. She doesn’t eat beans and she wishes to one day cross skydiving off her bucket list. If she won the lottery, she would buy a brand new F250. Rounding out the group is Katie Wyman, who started here last month. Katie joins us from Norton, MA. She enjoys being able to be around the horses 24/7. A typical day for her so far includes turning out mares, cleaning stalls and feeding the horses outside. If Katie could time travel, she would go to the future and see how life has changed. She is a very picky eater and has a cat named Tom. Katie’s goal one day is to swim with dolphins.